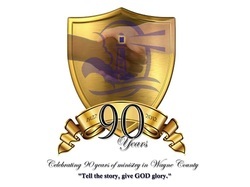 Greetings Lighthouse Family and friends, as we continue to celebrate 90 years of ministry in Wayne county we want to mark the event by preparing a "Time Capsule" which will be buried in the foundation of our new facility and at our 100th anniversary celebration we will exhume the capsule and its contents will be encased in our completed facility. Here is how you can partner with us: Inside the capsule we will include 100 family names from past and present members and families. The cost is $90 for each entry(up to 50 characters). If you would like more information please complete the request form below.